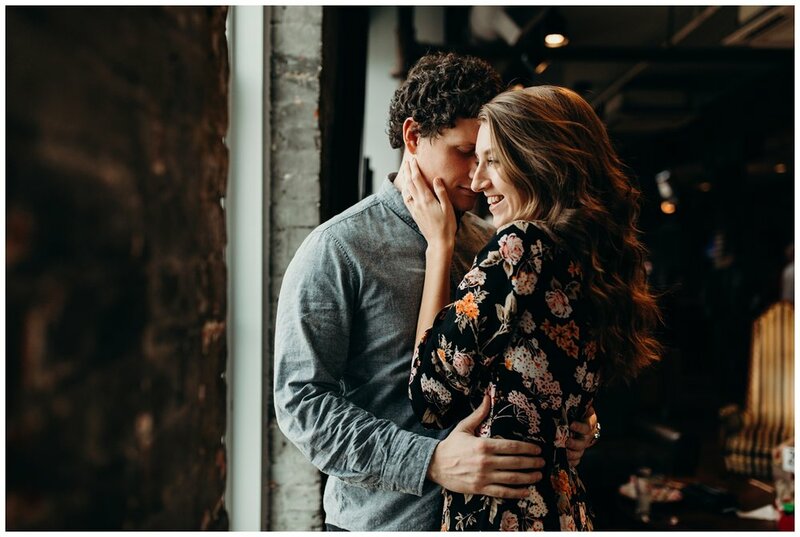 When I walked into ACME to meet Mariah + Jared for pre-shoot drinks, I could see their smiles to each other from a mile away. I knew this shoot was going to be fun. We finally got to meet in person as they don't live in Nashville, and I feel like I've known them for years already. 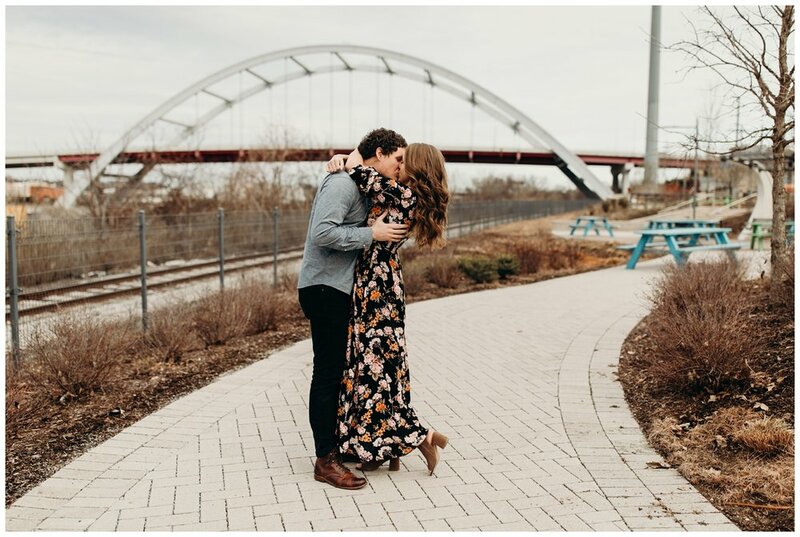 This engagement session was really just one big hangout with all of us while I took their photo. These two are SO in love it's undeniable (I mean, just have a look at these photos...) A lot of these I didn't even have to tell them what to do, they just automatically were so affectionate and loving with each other and I just snapped away. 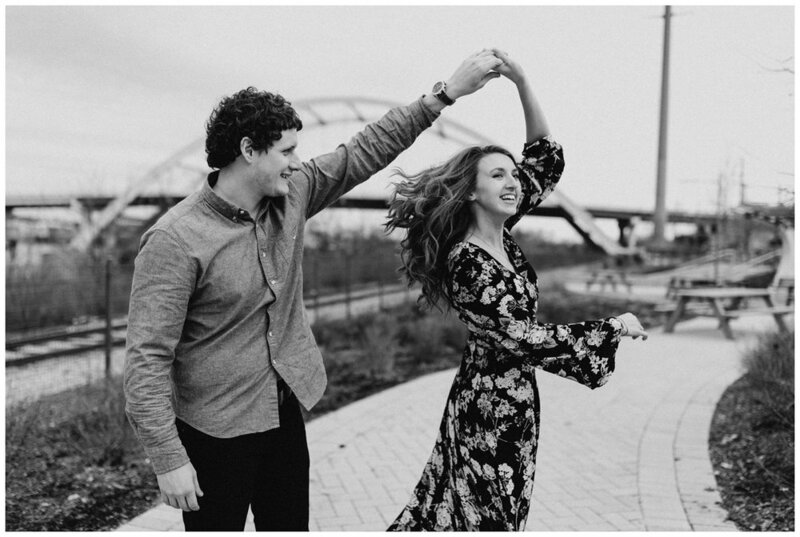 I CANNOT wait to do this all again on their wedding day. :) Congratulations you two!